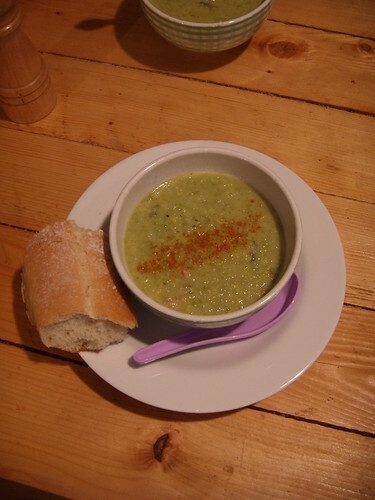 lick my balsamic: non-boring split pea soup!! non-boring split pea soup! !, originally uploaded by aarn! +7th April, 2008+. started it all out with a ham hock, some diced pancetta, garlic, and finely chopped onions...added some cloves, thyme, a dash of cumin, some fresh bay leaves, and chopped fresh sage...after i strained the split peas (which had been soaking for a few hours) i ground them up with a few handfuls of sweet corn and chick peas (this made it a little creamy), added some white balsamic vinegar and let it cook down for a few hours. was really good with a nice baguette...still have like a gallon left, so come over and eat it!